With the rise of smartphones and tablets came the rise of the convenient apps and there are tons of options out there to help you manage your finances. Among so many of these apps developed, finding the most efficient tool to repair your bad credit score can be quite hard. To make it easier for all of you that need credit repair solutions, we did our research and we found an efficient all-in-one credit repair app you need to try for sure. 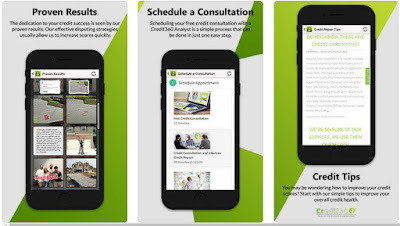 Developed for Android and iOS users, created for both businesses and individuals, Credit360 is an all-in-one app which offers the most efficient credit repair solutions for the users to repair their bad credit scores. The app offers extremely handy tools and credit repair services, as well for credit checks, credit score rating reports and more. The rebuilding experts are helping you to boost your business credit ratings and personal credits to repair your scores while taking care of every credit need you to have without any issue or time wasted. Credit360 with the tools, features and services offered is helping you to repair your bad credit scores efficiently and effortlessly. You on the app are given the right to dispute any of the items of the credit report. Completely legal, all the services offered within the platform are coming with cancel anytime policy and money back guarantee. Using the app’s help gives you the ability to track your progress of the credit repair 24/7, on the online portal. The efficient credit repair solutions as credit checks, reports and credit score management tools are here to boost your personal credit or your business credit rating, taking care of all your needs you look for to repair your credit. The services and tools are very handy, giving you a new start as an individual or business, and offer you the chance to make a better judgement for your credit scores. More opportunities are given to you with a bigger room for growth and amazing credit scores. Just invest in the services and make the most of it off your credit scores. Download the app on Google Play and App Store for free to boost your personal or business credit rating! Our pick for the Most Useful App of the Month is an incredible app called Skil. Skil is a global community where iOS and Android users can come to find mentors and experts, a place where they can find career guidance, mock interview, technical question answered, training, technical support, architectural guidance, and much more. Achieve your career goals with the help of this app, keep reading to learn how to use it! Developed for both Android and iOS users, Skil is an easy to use and yet highly efficient education app that is created in order to help users prepare for a job interview by connecting them with professional mentors to empower their skills By using the app’s help and the features offered, the users will be able to indicate their skills for which they require help, upload the job description they are applying for and the app will find for them the perfect mentor to help them. The mentors on the app are matching the skills, the job description the profile of the user that needs help for his interview. 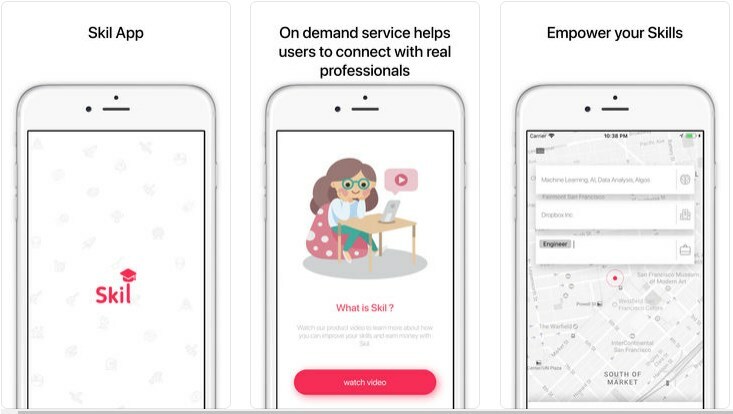 The Skil App for its users has to offer a lot of incredibly helpful and efficient features that will help each user prepare for any job interviews completely and perfectly. 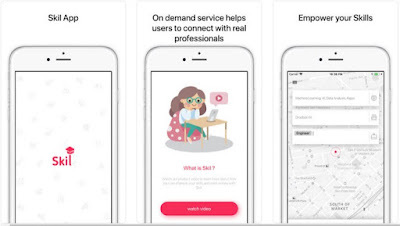 By using the app’s help and the proprietary matching algorithm offered, the users will be matched with mentors that suit their required skillset, the work in similar roles in the past, if they work or have worked in the past for the same company and the same job description, or their attendance in similar interviews before. With this on-demand service, the users will be connected with real mentors that will give them the help they need because all these mentors know the right amount of expertise about a technology or the way to present themselves to the company or team, offering users to make a big difference in their interviewing experience, taking form them the fear factor when they attend their interview. The app can be suitable for college students that are applying for their first job, a working professional is applying for a job in a new technology with little preparation and professionals that apply for a job in a new technology, a geographic area and would like to get a handle on the work culture in that specific area, or a professional who trained himself in the new technology but is not sure, has a few crucial gaps to take on a tough interview. The app will help each user get the help in appropriately prepare for every phase or type of the evaluation in the multi-stage interview process. Download the app on App Store and Google Play for free and request help from professionals! Buy and sell whatever you want with ease. Buy or sell books, phones and even cars and gift cards and anything else you can think of with choosing a reliable and effective buy and sell the app. Among so many of these apps, choosing the most quality one with the best features for both buyers and sellers is not easy. Because of that to make it easier for all of you, we did our research and found a great app for buyers and sellers. What is so special about Ziiron? Developed for Android and iOS users Ziiron is a simple, fast, effective and reliable marketplace for users that like to buy and sell locally. Available worldwide in every country, this app offers you the chance to sell and buy stuff nearby or in your neighbourhood. With tracking the user's location by using Google Maps/ Geolocation the app will enable the business to become faster and efficient. Sellers and buyers are offered the simplest and most effortless way to buy and sell stuff near them. Ziiron is created for buyers and sellers. The buyers on the app will be shown the items up for sale at great prices in their neighbourhood or nearby. The sellers on the app are getting a display of their items up for sale for all users nearby or in their neighbourhood. You can meet users nearby in person to exchange items for cash or you can use other payment methods available in your community. Send and get messages from members and schedule meetups with sharing your exact location or by setting a secure location for the transactions. To earn extra cash just take a photo of the item for sale and list it quickly. Post anything in just 30 seconds. Categories of deals like as kitchen, phones, beauty, tools, toys, health, photography, sports, cars, garden, fashion, jobs, services and much more can be found so you can easily discover stuff nearby for sale or search for a specific item. No time wasted, without any stress, sell and buy stuff nearby. Download the app for free on Google Plan and App Store for reliable and effective buying and selling! If you want to enjoy an exciting combination of match 3 puzzle and slot machines, then SLOT SAGA is the game you need. SLOT SAGA is here to entertain you for hours with its addictive gameplay, colourful design and cool features. We’re pronouncing it a Casino Game of the Week, so keep reading to learn how to play and to find out everything about it! What is SLOT SAGA all about? SLOT SAGA is an easy to play, fun and yet challenging for the puzzle skills of the players a match 3 slot machines game that is an amazing combination for all match 3 and slot machines lovers. The game is developed for Android users with exciting sounds and high-quality graphics, offering the players to have fun spinning and matching slot machines items to get fruit bombs and win a coin blast. Relaxing the player’s mind the game in the same time will challenge the player to puzzle and try to match items. This match 3 slot machine game will get players addicted to the game on their first try with the various fun and challenging features offered. This combo of a match 3 and slot machine game is offering the player to try and solve the slot machine puzzles, match the items and try to get the fruit bomb. 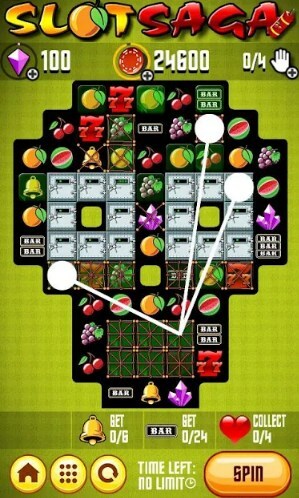 Players need to spin and spin and wait for the fruit bomb while they enjoy the relaxing casino mood. The player that gets the fruit bombs will get a blast of thousands of coins. Players need to match 4 items in order to get the fruit bomb or match 5 items and get a different kind of fruit bomb as well. To challenge the puzzle and math skills of the player, the game offers thousands of puzzle levels for the player to test his skills and progress further in the game. Players that are able to complete as many levels as possible and get as many fruit bombs as they can be able to win high scores and become the ultimate matcher and puzzler of the game. Download it on Google Play for free to spin the slot machines and match items to get your fruit bomb! A lot of women find themselves searching for answers and tools that might help to conceive and keep them informed about their fertility cycle and ovulation days. 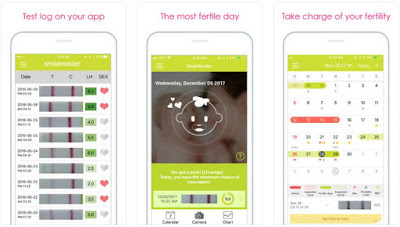 Luckily for all of you, there are many apps and tools developed especially for this purpose, to help you take charge of your fertility and learn when you have the best chances of conceiving. We did our research and have to offer you an amazing fertility app that can help you with these issues. 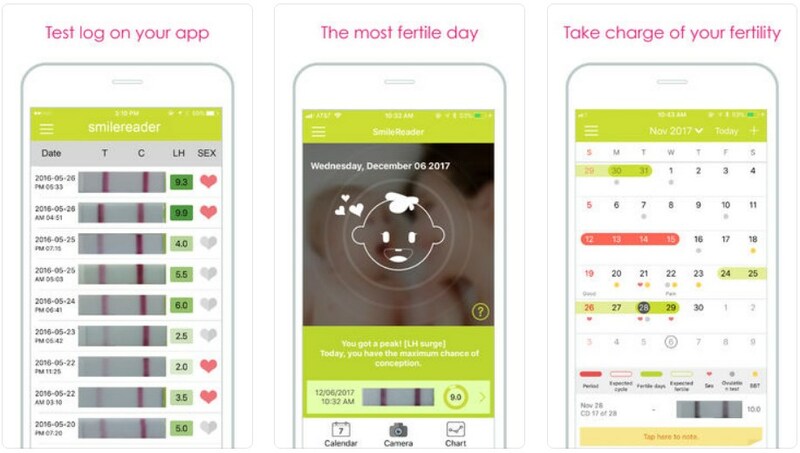 Brought for Android and iOS users, SmileReader is an amazing fertility app with its features is helping you to track your ovulation and monitor your fertility to start planning your family and take charge of it completely. This ovulation and fertility tracking app only works with the SmileReader kits so the users can track the results of the test directly on the app to learn when they have the best chances of conceiving, to eliminate all the pregnancy guesswork and map everything out. The SmileReader helps you learn about your fertility cycle and to track your ovulation so you can start planning a family your way with all the amazing features available. The SmileReader’s ovulation tests need to be taken and by taking photos of the tests, the woman can track the results directly from the app too. Map your cycle so you can learn when you will be ready to conceive. The pregnancy tests available can be logged inside the app as well and with using the personal period calendar women have the ability to learn when are at the peak ovulation and have the best conceiving chances. Scan your test results quickly within the app and the app will use the latest technology to configure them into the cycle of the woman. Daily logs of your basal body temperature, changes in your cervical mucus, and even your mood and weight to increase the accuracy of prediction can be entered and all the information, dates and ovulation details can be shared with your partner so he can be in-the-know as you too. Download the app on Google Play and App Store for free to learn when you have the best chances of conceiving! Endless tap arcade games can be quite entertaining for playing because of its quick play, addicting nature and simple controls that make them an accessible genre that virtually anyone can pick up and play. However, if you are looking for something more challenging, some of these game offers you to test your skills while having fun at the same time. We looked and we have to offer exactly this type of endless tap arcade. Let’s see what the game is all about. What is Sweet Ghost all about? Sweet Ghost is an endless tap arcade which is quite fun, exciting and challenging for all lovers of arcade games that like to test their fast reactions. 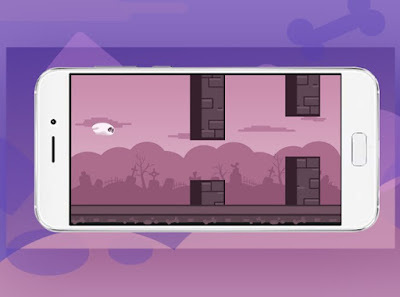 The game is developed for Android users with amazing graphics and entertaining sounds as the player tries to tap and fly as long as possible while at the same time avoiding the obstacles on his way. Win the highest scores by staying in the game as long as you can without crashing into the obstacles between to become the best player. This endless tap arcade is getting arcade players addicted to playing fast, challenging their skills each time. In order to fly with the ghost and avoid the challenging obstacles between, you need to tap on the screen to control the ghost. You can choose on the game to play by yourself and test your skills and try to get as further in the game as possible to win high scores or you can choose to play against friends and other online players and try to become the best player among other players. Compete against other online in ghost duels and try to win. Without the need of internet connection to play, the game offers you a chance to challenge yourself, test your skills and tap fast to fly between the obstacles or compete against others to beat their scores and win the title of the best tapper. Download it now on Google Play for free and tap to fly like a ghost between the challenging obstacles! 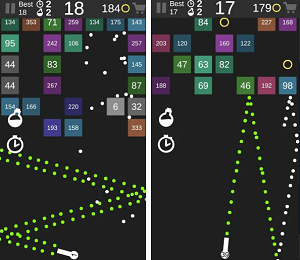 These days, you can find some seriously good puzzle games for your smartphone. Gone are the days of super simple mechanics and graphics with goofy ideas. Some of these games are actually fairly intense and complex with stories and even really good graphics. However, discovering a relaxing, inspiring and elegant puzzle game is not easy among so many of these games available. We did our research and found a ball bouncing puzzle game to challenge your mind - logi. Developed for both Android and iOS users, logi. the ball bouncing puzzle game is quite relaxing and inspiring for the mind of puzzle lovers that like to challenge their skills and push the limits of their logic with the elegant and challenging gameplay. Handcrafted levels that combine logic, bounce and reflection offer minimal design and relaxing music that will get you addicted to playing. All you need to do is to help logi get to its goal and reach the end to progress and sharpen your brain with each solved puzzle. logi. provides the players with various features to keep their attention and to sharpen their puzzle skills and logical thinking. The task of the player on the game is to reach the end of the level by using his finger to rotate mechanisms and help logi get to his goal. As the player is progressing every new puzzle is crunchier than the one before with bigger and wilder mazes and new mechanisms added as the player gets further in the game. You need to push the limits of your logic and create the best strategy to solve the puzzles without any timers, scores, texts, and distractions. For testing the skills of the player the game offers 75 challenging levels where players need to rotate objects to make them meet and reach the goal to solve the mind boggling puzzle. Let the ball reach its goal by drawing the route and thinking logically and strategically a few steps ahead. Enjoy the minimalist and intelligence line puzzles. 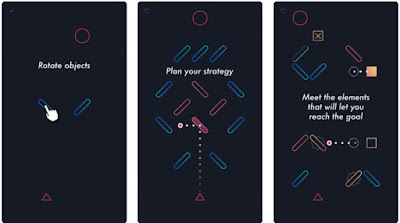 Download the game on Google Play and App Store for free to plan your strategy and push the limits of your logic! App Store Download Link: logi. Google Play Download Link: logi. Organize your trips in a better and easier way, fly smarter and enjoy with one of the most unique travel apps on the iOS platform – Travelonium. 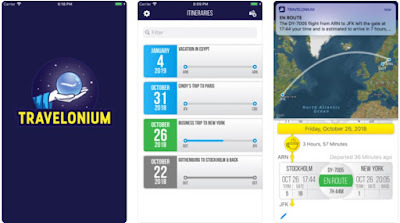 Travelonium is not a regular travel app, it can become your own trip assistant. It has everything you need – from reminders, to live flight changes, gate information, delays, cancelations, and much more. That’s why we’re sharing it with you as our Travel App of the Week. 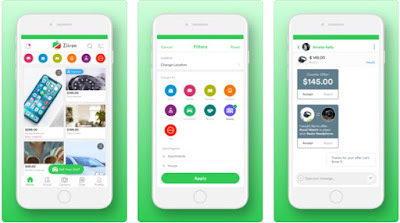 Developed for iOS users, this incredible air travel assistant is helping users to organize their trips and flights directly from their phones while getting all the needed information at their reach. Easy to use with clean and interface, the app helps users to fly smarter and keep track of their flight information by finding available details such as live flight changes, reminders, delays, information, cancelations and other information to save time and fly without any stress, relaxed. 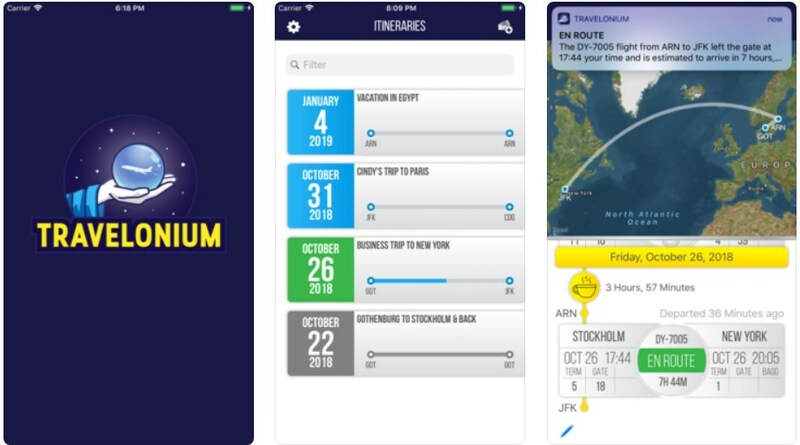 Travelonium helps you to enjoy a smooth travel experience and save time by finding all the flight information boards directly on your phone to get all the flight details for better organization. As a user, you can create your itinerary of multiple flights to keep track of your trip with the easy to use and read, simple for an understanding timeline that is constantly updated and populated as soon as the flight information is announced. Your flight status is updated constantly and you will constantly receive details such as departure gate, delays, cancellations, redirections, and even baggage collection information. With all the information detailed and descriptive, this app will give you notifications 24 hours before the flights so you can prepare on time and with constant notifications till your flight so you don’t miss it. Your private data is secured and safe within the app always. With over 500 sources from major airports and airlines available with highly reliable data offered, users can organize their trips, flights, and vacations less stressfully and without spending much time organizing their flights. Download the app on App Store for free to have a personal travel assistant and enjoy when air traveling! Does your child play games on your phone? Game apps may keep him busy in the doctor’s waiting room, but what does he learn from them? Not much, for the most part. Finding fun and yet educational game for your kid to play and enjoy while at the same time learns something and enhances his skills can be hard. Luckily for you, we looked and we have to offer your kid a simple and fun educational game that will assist in his development. Let’s see what the Car Wash app is all about. What is Car Wash all about? 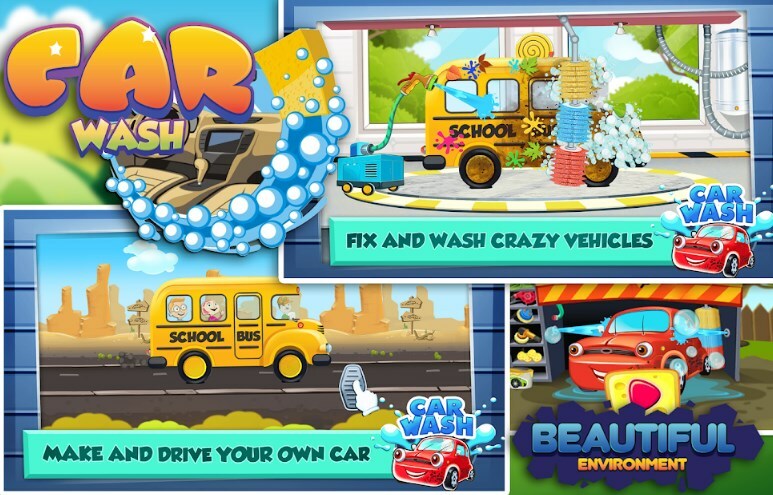 Car Wash is developed for Android users with stunning graphics and bright colors, especially as an educational game for kids which is offering parents to help their kids develop attention and fine motor skills while the kids enjoy driving, fixing and cleaning crazy vehicle. The kids need to choose the vehicle they want, remove the debris and clean it using soap and water. Variety of cars to choose from such as police car, fire truck, school bus and more are offered to keep the attention of kids while they enjoy the vehicles and try to get them to perfection to earn their stars. 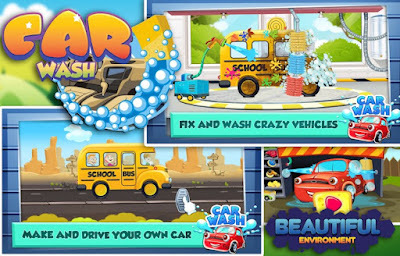 This kids’ educational game offers the kids to choose their vehicle, wax it and buff it to perfection while challenging their skills to complete the task. The next task after the player completes the waxing, buffing and fixing the vehicle is to drive it safely to the drop off point in order to complete the challenge and earn stars. Each kid needs to collect as many stars as possible while having fun making and driving his chosen vehicle. The kids will never get bored of playing and collecting stars and when they have enough stars collected they can use them to unlock more of these fun and crazy vehicles and try to conquer new challenges. The game assists in the development of the kids’ attention and fine motor skills while the kids have fun playing with vehicles and trying to fix, clean and drive them to progress and complete the exciting tasks. Download it for free on Google Play to choose a vehicle you want to fix, clean and drive to receive stars! Our pick for a Cross-Platform App of the Week this time is a wonderful app called Givz. We chose Givz because it is designed to perfectly fulfill all your charitable giving needs. 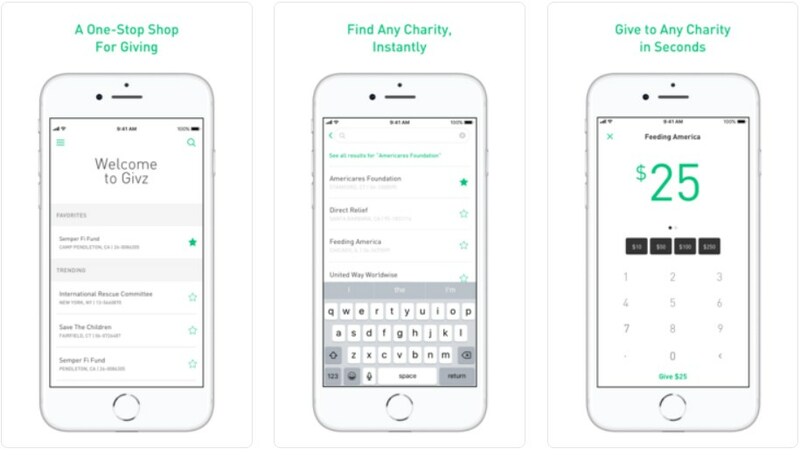 With it, you can donate to any of the 1.6 Million registered U.S. charities from one single platform, so if you want to know what the app is all about, keep reading our article and tell us what you think! What makes Givz so special? For all users that like to do well and help others, this online donation tool offers all the features that the user needs to fulfill his charitable giving needs and with the help of this one-stop shop for donations to donate to charities of his choice, easily and quickly. 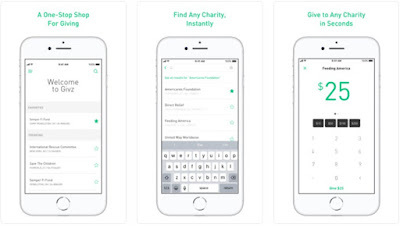 Developed for iOS and Android users, this charity donation app is quite easy for using and offers users the ability to make donations directly from their phones, with just a few clicks to donate and help others instantly without filling any donation forms. Using Givz will help users that like to give to others and donate a chance to use amazing features and tools in order to make a donation without wasting time or investing much effort with filling out forms or losing track of their tax receipts. Users on this charity app can instantly discover charities and choose any charity they like to donate to. Over 1.6 million charities are registered on the app so you as users can have a choice and donate with just a few clicks on the app. Storing all your tax receipts in your account, the app gives you the ability to set recurring donations on the fly without you forgetting about your tax receipts. Turn on or off your recurring donations, managing all your donations as you like. Directly from your phone, instantly make donations online to charities of your choice and don’t miss the chance to help others and donate to do good for them. Download the app for free on Google Play and App Store and don’t miss the chance to do good for others! Prank culture is as relevant in today’s society as foodies and hipsters, so why don’t prank apps deserve its own category on app stores? No matter, there are many prank apps to help you spoof your friends and family any day of the year. To make it easier for you and help you find the best prank app, we searched and we have to offer you a great photo editor that will help you to snap photos of others and decorate them as you want to prank your loved ones. Let’s see what the app is all about. What is SMILES all about? SMILES is an amazing photo editor which is created for prank lovers that look for a fun and simple way to prank others. Developed for Android users, very easy for using, this photo app allows you to snap a photo of a friend or family member without them knowing and decorate the photo as you like, sharing it with them. By watching short ads on the app you will be able to collect rewards while enjoying yourself taking and editing photos to share with your loved ones to prank them. This photo editor for all prank lovers offers interesting features and multiple modes they can try to take photos and decorate them as they please. On the app, users can try the normal mode which allows them to switch to another app and place an invisible camera on top of that app so when a friend or family member check out the app, their photo will be taken without them knowing or try the burst mode with which they can take 5 photos of a person. Also, there is the quiet mode so users can take a photo with a long click for about 1 second. Users can draw faces on photos to make them funnier with the beautify option and each edited photos will be saved in the user’s phone photo gallery. The edited photos are easily shared with others to prank them and have fun. The Star Shadow option allows users to catch anyone touching their phone with launching an invisible camera when a certain app is opened and taking a photo of the person with a timestamp. Download it now on Google Play for free to snap a photo of others and decorate it to prank them! One of the most entertaining and addictive games that everyone enjoys playing on their smartphone is the match 3 games. These games will test your puzzle skills while sharpening your brain and relaxing your mind. To make it more interesting, you can find a combination of a match 3 game with slot machine gameplay. We decided to make the search easier for you, so we looked and we have to offer you a match 3 slot machine game to try. Let’s see what the game is all about. Interviewing is a skill; it requires thorough preparation and practice. The amount of time you allocate for getting ready can make all the difference between landing a job and going back to the drawing board. If you use the right app and service on your smartphone you will be able to prepare for every phase or type of interview, easily getting bigger chance to get the job you are applying for. We did our research and we discovered one amazing app for that purpose. Let’s discuss about it. 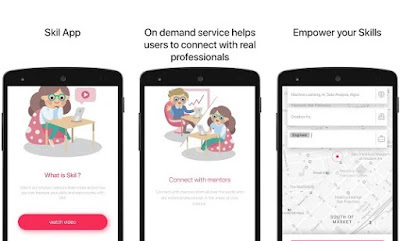 Developed for both android and IOS users, this is one easy to use and yet highly efficient education app that is created in order to help users prepare for a job interview by connecting them with professional mentors to empower their skills By using the app’s help and the features offered, the users will be able to indicate their skills for which they require help, upload the job description they are applying for and the app will find for them the perfect mentor to help them. The mentors on the app are matching the skills, the job description the profile of the user that needs help for his interview. The holiday periods are generally busy with family and friends. You find that you use your devices much more to either take pictures, save files, send a lot more emails and even download more music so you have enough to get the Christmas party going. The last think on anyone’s mind is the fact that they would lose their data. 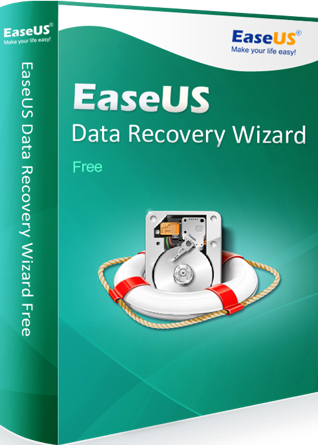 You ask anyone and the reply will be something along the lines of, ‘I haven’t actually thought of that.’ Well we think that it should be thought of hence the reason why the data recovery software EaseUS should be on the Christmas list. Casual Game of the Week - Roll! 3:54 PM Android, Casual Game, Roll! Roll! is an awesome game that was already shared on our site, but due to its fun and challenging gameplay we decided to present it again, but this time as our Casual Game of the Week. For anyone that likes to play addictive casual games on their Android device, Roll! is a perfect match. Keep reading to learn how to play and why we love it! What is Roll! all about? Roll! 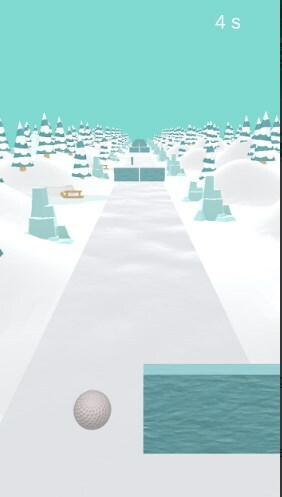 is an addictive and relaxing game tapper that offers players to test their fast tap skills by trying to tap and move through the snowy mountains and avoid the icy obstacles. Developed for Android users with simple left and right tap controls will challenge players to tap fast and progress. The player needs to be careful not to get hit by the obstacles, avoiding them all precisely to get further in the game, complete the levels and win high scores. This tap game and the features offered on it is keeping the attention of the players each time they play and tap to avoid the obstacles on their way. The skills of the player are tested as he tries to tap fast and move through the snowy mountains and avoid the obstacles ahead. On the game, players are offered two game modes. 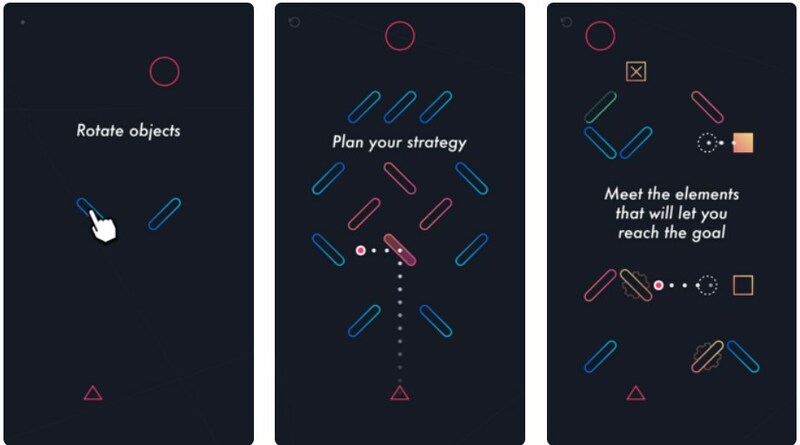 The first one is the infinite mode where the player needs to survive for as long as possible and avoid obstacles through the infinitely long icy path and the second one is the survival mode where the player needs to last for 2 minutes to unlock the next level. The player with covering each distance and beating the levels will gain XP in the game tapper and the XP he gains is used for the player to unlock new characters, different types of balls with awesome power-ups and colors as well. Have fun testing your tap skills and react fast to get the title of the best tapper in this incredible tap game. Download it now for free on Google Play to avoid the icy obstacles by tapping fast! Google Play Download Link: Roll! If you like playing games on the go on your smartphone and to spend hours testing your skills, there are many games available for you. However, if you like to a puzzle game that will test your knowledge while you have fun puzzling, there are various games you can try. To help, we looked and we have to offer an amazing word game with a twist of a puzzle to help you improve your vocabulary while you enjoy puzzling and trying to search and link the hidden words. Let’s see what the game is about. What is Word Search Puzzle all about? Word Search Puzzle is created for all lovers of word search games that like to test their knowledge and improve their vocabulary as they are challenging themselves to search and find the hidden words. The game is quite easy to play and highly addictive, developed for Android users with a twist of a puzzle game. Simple and intuitive controls will help you to find the hidden word, to swipe and link it. Multiple categories and levels will push you to the limits to become the word champion. The word game with a twist of a puzzle is exciting and addictive to play with many features that will keep the attention of players constantly. Each player that is testing his puzzle skills and word knowledge needs to search, swipe and link the hidden word. Testing your knowledge and improving your vocabulary, the game is offering an amazing board that acts like a word square where the challenging English words are hidden and you need to find them. 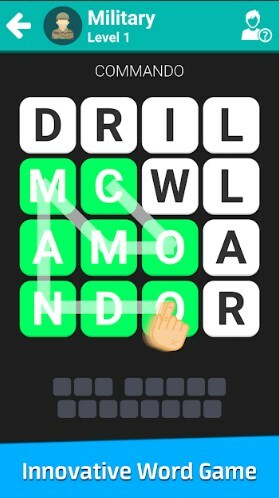 Slide on the letters with your finger to complete the word and discover it. Numerous categories with hundreds of challenging and fun levels are offered to test your skills and each level is designed carefully. Many categories are offered such as animal words, computer word names, science, sports, daily life, cartoon characters, countries and cities, food and flowers and more to challenge you while the levels are becoming harder as you progress. Download it now on Google Play for free to search, swipe and link words to test your knowledge! With so much information available on the web, much of it misleading, planning the perfect trip can become overwhelming and take the fun out of what should be an exciting experience. Thankfully, there are several travel planner apps available to help you plan your next getaway. To organize your trips and keep track of your flights we did our research and found an amazing air travel assistant so you can enjoy more joyful trips and vacations without much time wasted. It’s called Travelonium! Few days ago we talked about Missile Wars. This action game, entertained us the most when the action gaming category is in question. That is why we decided to give it another appraisal by naming it our Action Game of the Week. Read more why! If you’re looking for new, challenging and addictive action 2D flying chase adventure to beat the boredom effortlessly and replace it with some exciting game experience than keep read carefully. In today’s article, we want to introduce the Missile Wars: Airplane Escape Endless Flying, fantastic action that will hypnotize you just on a first look with the fantastic graphics and outstanding entertaining sound effects that won’t leave you bored even for a moment. Flying and avoiding missiles is constantly fun flying adventure. As we already said, it’s a challenging 2D flying game in which you have to possess a great sense of control, concentration, and reflexes that are required to keep your airplane safe longer as possible. Your mission is to collect many stars as possible and avoid all the attacking rockets on your way that want to destroy you and end the game. Improve your gaming skills and enjoy the multiple levels that this game offers, create records and high scores till you master the game, so you can compete with others and take the fun to the whole new level. Visit the Play Store or the Amazon link where you can download Missile Wars and play it on your phone. Check it out and enjoy the play as you want or wish! Secure messaging apps have grown in popularity as consumers seek protection from hackers and surveillance. Secure messaging applications have been a cottage industry for desktop computers for years, usually for secure email or instant messaging, but the arrival of mobile platforms has given them the sort of kick that is leading many to dream of reaching mainstream adoption. We did our research and found a secure messaging application for these purposes. Developed for both Android and iOS users, InnerGroup is a secure messaging application that offers you the ability of free end-to-end encrypted text, video, picture messenger with full control as senders, completely safe and private. This application is trusted by world leaders, executives, journalists, human rights activists, celebrities, and the closest friends of users so they can easily create groups for posting with end-to-end encryption of all their posts to all their group members. Users just need to lock the group and they can easily access all the needed information so as group owners can manage posts and members. 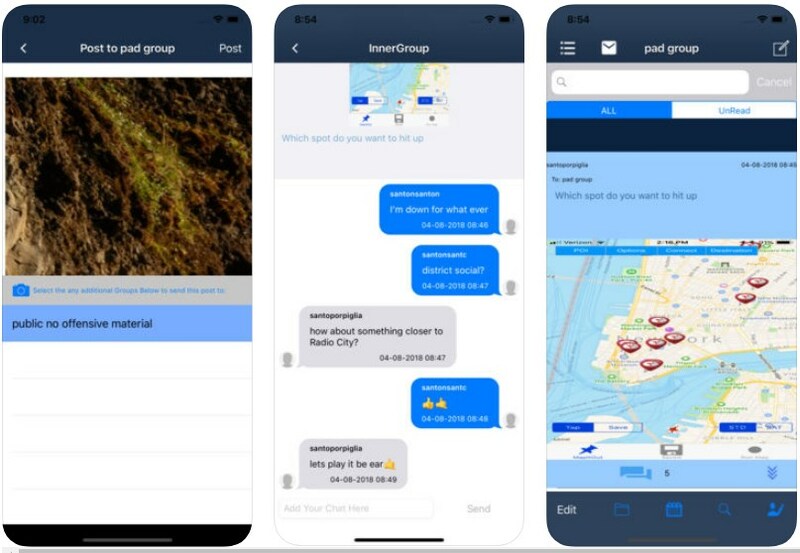 The InnerGroup and its features are offering you the chance to enjoy free end-to-end encryption, open groups, add your members and post to the groups with complete safety and privacy. With no ads, the app allows you to send and receive secure messages, pictures, videos, and audio files safely. As a user, your address book will not be accessed or used and your groups are completely anonymous outside your network in InnerGroup. All the conversations you have won’t be tracked, intercepted or monitored so you can communicate and create groups as large as you want to. The accounts you own can be separated from the app and you can easily create, manage and delete the groups and the posts as you like. If you are a group owner, you can also remove or add groupies with sliding the user and select the option needed. The posts can be managed the same. As soon the posts are delivered to all groupies, they are removed from everywhere. Locked by default, all create groups by the user opened for a short period can be used for posting and then locked again so the members can’t post again. The app is free but if you want the safest and securest communication you need to purchase the app’s version of 130$. Download the app for free on Google Play and App Store to safely send encrypted messages to group members! Despite all of our advances in technology, dating hasn’t changed hardly at all in the 21st century. You meet people, talk to them, and maybe start dating if enough sparks fly. There are some dating apps out there that can help this process along. To help you pick the best dating chat app that will help you instantly get matched with users that suit your taste without wasting your time, we searched and have to offer you a great dating chat app to try. Let’s see what the app is all about. What is Tinda all about? 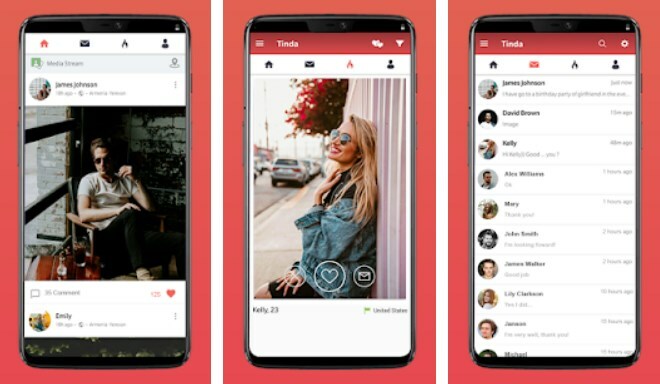 Tinda is available for everyone that likes to find their true love and meet new interesting people. Easy to use and user-friendly, this dating chat app is quite safe and secure and users can use it to express their emotions with colourful stickers and emojis on a chat and even send gifs and photos using the app’s high-quality features. You with the help of the app can meet your true love and connect with people close to you or all around the world. Chat and meet new interesting people. This dating chat app and its amazing features allow you to easily connect with other users using this app based on your preferences to chat and find the perfect match for you or simply to find new friends that suit your preferences. On the app, you have the ability to find people nearby and connect with others immediately using the app’s chat. See easily all the people who visited your profile using the app’s feature for profile guest option. Get matched instantly with users that suit your preferences the most and learn quickly is someone likes you. You can also see all the photos uploaded by people from your country with the home page posts. Instantly find someone with the hot or not feature, instantly in the moment of your search. Anytime and anywhere you want, connect with others and meet singles to find your true love. Close or around the world, meet people and connect on a chat with them. Download it for free on Google Play to chat with random people close to you or all around the world! Almost all of us have a smartphone now. So lots of people have been working on integrating our phones with our love for supporting good causes. As a result, apps for charitable giving are easy to find. With the right online donation tool on your phone, you will be able to do well for others and donate to help charities of your choice without filling out donation forms and wasting your time. We did our research and discovered a great donation app called Givz for all of you.